Select from the categories below to learn more about Industrial Equipment & Components. You will find vacuum pump, valve, screw compressor and more quality mechanical components from China. 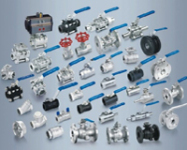 For your special need, Made-in-China.com provide professional industrial zone for global buyers, including Zhejiang Valve, Wenzhou Pump Vacuum Equipment, Ningbo Fastener Fitting and so on. These Mechanical Equipment & Components industrial areas are the specialized on-line searchable database of China suppliers and wholesalers. All high quality industry equipment products made by reliable China manufacturers can be found here.